Welcome to The Junction Optometrists serving the GTA. Our eye doctors provide comprehensive eye care that goes beyond a prescription for glasses or contact lenses. Eyes are important indicators of a person’s overall health and at The Junction Optometrists, we take the time to get to know your eye care history, understand our vision needs – and most importantly you! We have provided thousands of residents in the greater Toronto area with expert eye care, advice, options and follow up – and hope to serve you in the near future. 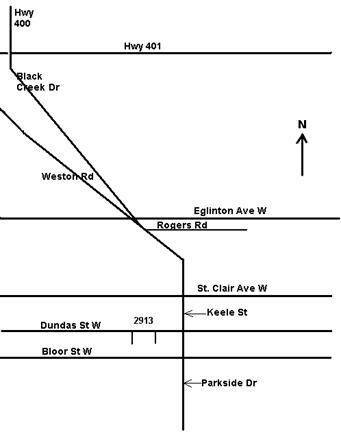 Take the subway to the Dundas West station and take the Dundas West bus to Keele. The map below illustrates the major intersections. Metered street parking is available on Dundas Street. Please allow 1 hour, and observe the parking signs. There is a just west of our office, on Medland Ave.